Use this gorgeous Frame Guest Book at your Baby Shower as a unique alternative to the traditional guestbook! 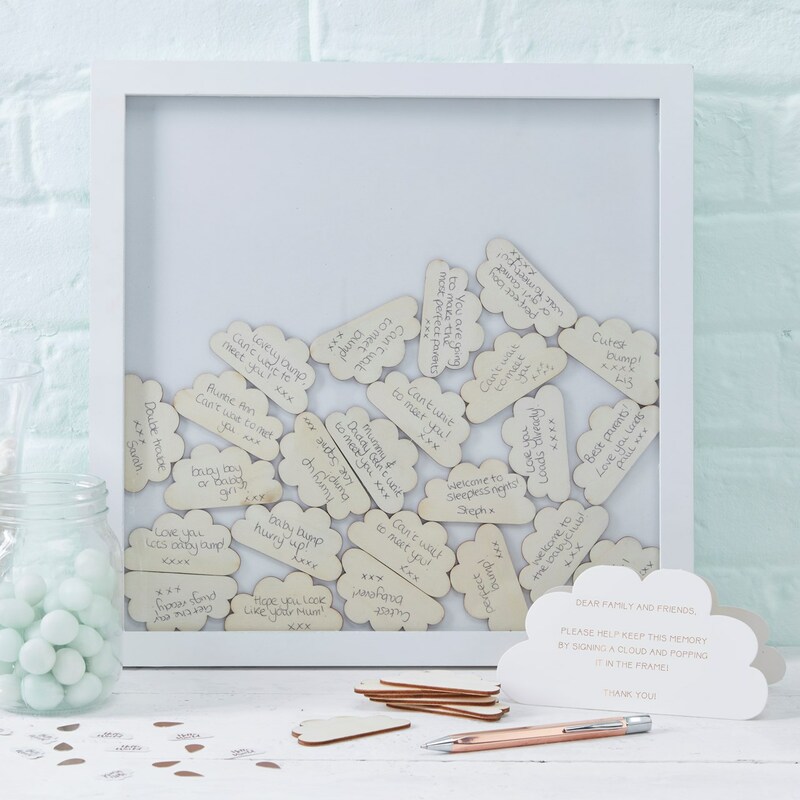 Ask your friends and family to write their lovely messages on the wooden cloud pieces which then slot into the frame. The stunning square frame design is sure to be loved by all trendy parents-to-be! Hang the beautiful frame within the family home to relive the magical moments shared with family and friends after the Baby Shower.